Length Range: 16 - 28 ft. 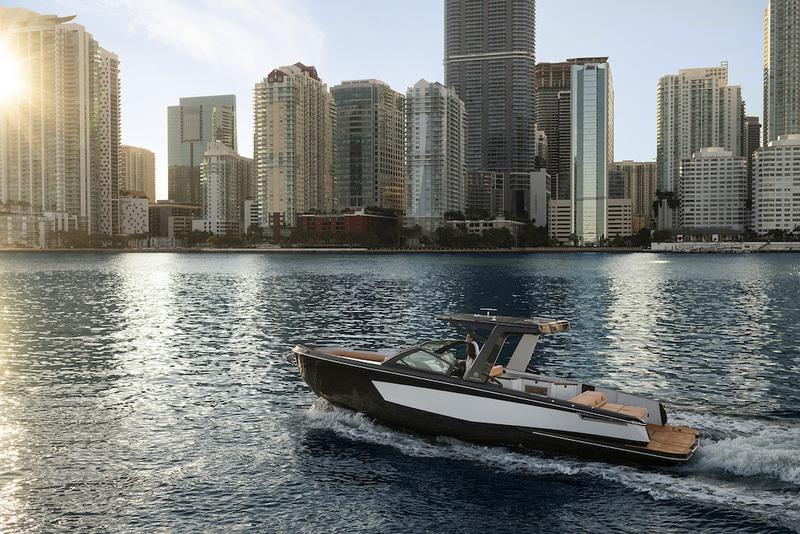 The ubiquitous bowrider is at once the epitome of feel-good leisure boating and a design style frowned upon by the powerboating purist. There is a rather tired and outdated notion that a bowrider is a shallow, lightweight, flighty craft in which far more attention is paid to style and peripheral accessories than to dynamic ability. But is that fair? 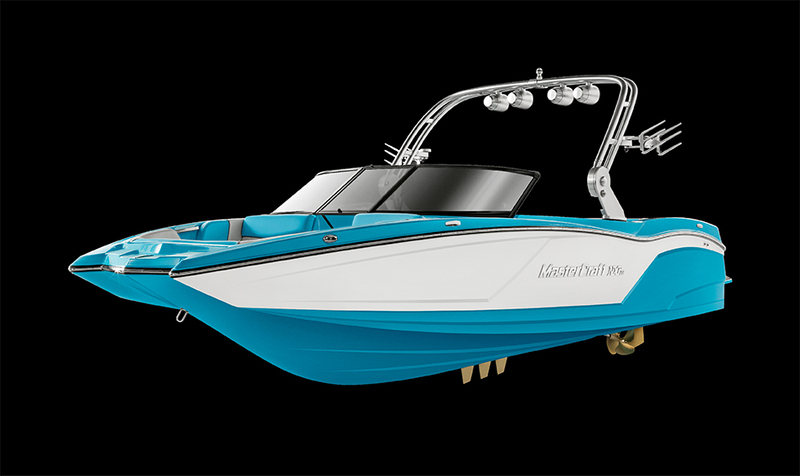 Well certainly, the classic bowrider tends to embrace the needs of family boaters by using relatively shallow hull angles to help maximise running efficiency and increase inboard space. And (as the name suggests) they also employ an open bow, enabling occupants to make the most of the sunny conditions in which they tend to be used. But to criticize them as somehow unworthy on account of these undeniable assets is absurd. 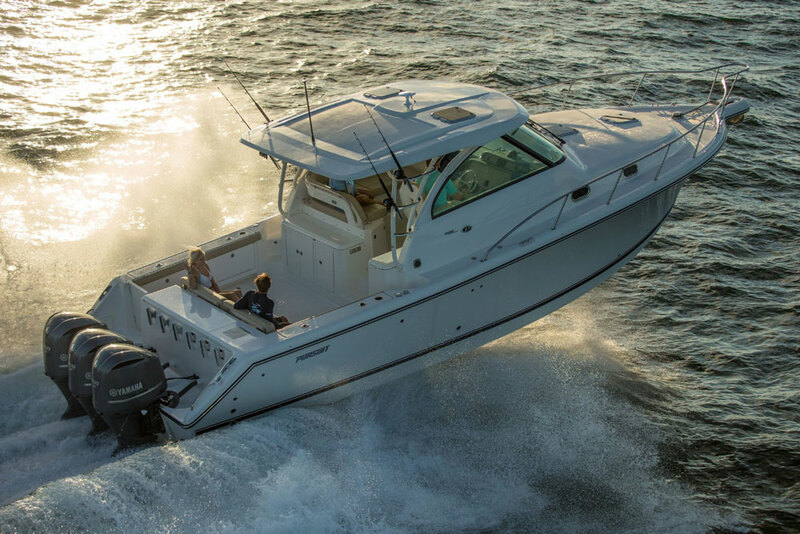 On the contrary, a bow rider should be a stylish, sociable and versatile boat with an efficient and easy-running hull - and the more it satisfies these key credentials, the better it is. Up at the bow, the classic bowrider incorporates a V-shaped seating section. You should make sure there is sufficient length to enable you to sit facing forward in comfort. A bow ladder and a table fitting to generate a proper gathering space is also a great asset - and if there is also an infill cushion to turn the entire front end into an unbroken sunbathing area, all the better. Some speakers and perhaps even deck lights add a bit of style and up the ante for parties afloat, but don’t forget the practicalities. Look for a proper complement of grab handles and cup holders and check for properly drained under-seat storage. Move back into the cockpit through the step-through screen and a small bow rider will generally use a full-beam aft bench and a pair of rotating bucket seats for driver and navigator. Even on the smallest craft, this should enable five people to face one another, ideally over a central table. An integral seat bolster for the helm and navigator is a very handy feature, enabling you to drive at pace with the wind in your hair, and angled foot braces are also useful for those keen on a vigorous drive. While you’re at the helm, check that the screen doesn’t come too close to your head in a comfortable sitting position and take note of whether it is tinted. Similarly, is the dash matte colored and appropriately angled to avoid too much glare in the midday sun? You should also look for a long, deep under-deck stowage compartment. It should be effectively drained and of sufficient size to swallow your skis or even a wakeboard. A cooler is a great asset on a bowrider and (for some) so is a small portable MSD. On larger bowriders, these are often located to port of the helm in a small step-down compartment. 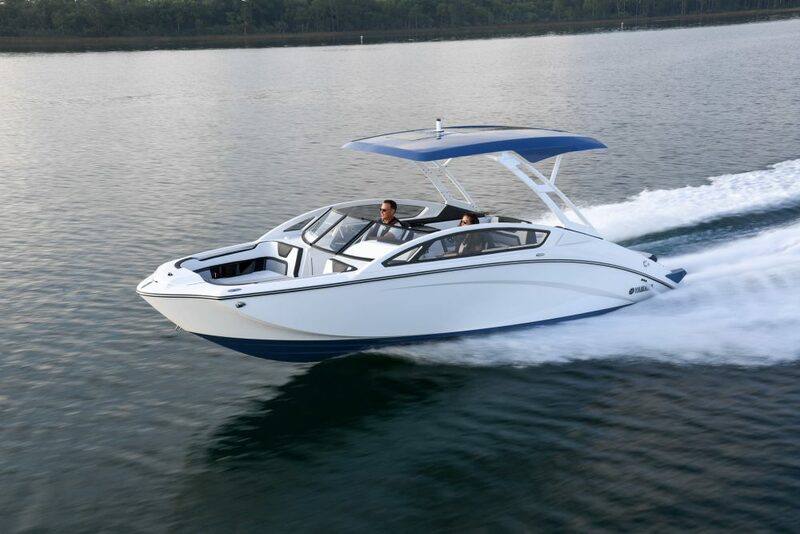 If you do intend to use your boat for watersports, opt for a boat with an easy-planing hull and adequate power. You need lots of grunt low down in the rev range, so if possible, test the boat by putting your heaviest boarding buddy in the water and your full complement of friends in the cockpit. Only by this means will you know if the craft is really up to the job.